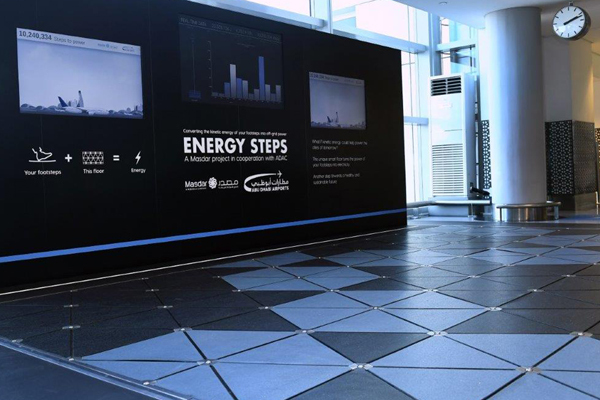 Abu Dhabi Airports has commissioned Pavegen, the award-winning UK clean-tech company, in collaboration with Masdar (Abu Dhabi Future Energy Company) to construct a 16-sq m energy harvesting walkway. Commenting on the new project, Ahmed Al Shamisi, acting chief operations officer at Abu Dhabi Airports, said: “We’ve partnered with Masdar to install the Pavegen walkway, poised to power the data-driven, smart cities of tomorrow. Through this collaboration, Abu Dhabi Airports aims to further its commitment to sustainable practices, educating travellers and residents alike about different sources of off-grid energy and data.